Fishing in the cold and the wind can sometimes be utterly miserable – especially if it looks like you’re headed towards yet another blank. However, there is one small thing that can very quickly turn your day around – the humble cup of tea. A brew, whether that’s a tea, coffee, or other hot drink of your choice, has the ability to warm your soul – heating your body from the inside out. This means, even if you do end up blanking, at least you will have enjoyed a nice hot drink. 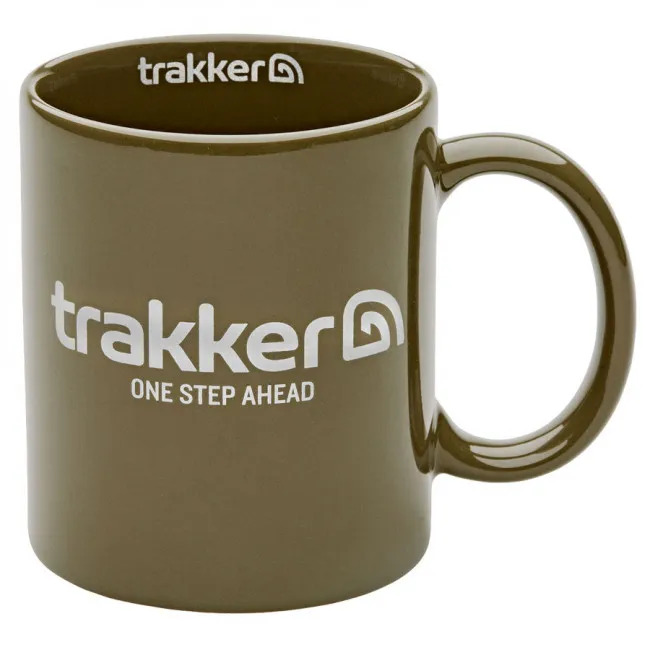 This Trakker Heat Changing Mug is the perfect vessel from which to enjoy your drink. Not only does it perform in the exact way you would expect from a mug – giving you a convenient way of enjoying a warm beverage – but it also has the added benefit of being entertaining! On the front side of the mug you’ll notice the classic Trakker rainbow logo. However, you’ll also notice that there is something rather different about it; it is in blue rather than the traditional red. This logo changes colour when you add hot water. Simply pour in your hot beverage and watch the colour change from deep blue to brilliant red – just like magic. As the drink cools, you can watch the colour change back to blue again. 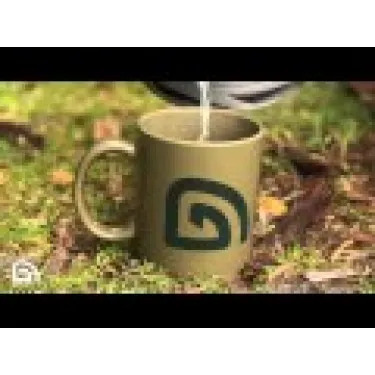 The rest of the mug is in an olive green colour. This perfectly complements the full range of Trakker products – including the brand’s luggage, bivvies, and other bankside essentials. The mug boasts a ceramic construction, so you don’t have to worry about it cracking when exposed to extreme heat, and it has an ergonomically designed handle. This makes it comfortable to hold and it ensures that you’re at minimal risk of burns or smarts from the hot ceramic (please always take care when handling hot liquids). The Trakker Heat Changing Mug has a 300ml capacity, too. This is the standard capacity of most modern mugs and it ensures that you’re always able to get the perfect brew. This Trakker Heat Changing Mug forms a small part of the brand’s cooking equipment collection. The Trakker range is vast and it supplies everything you could need, from kettles to boil your brew, to plate and cutlery sets – and much more besides. Pots and pans, even stoves – you’ll find it all in the extensive Trakker range. This is because the brand understands that the angler who is well fed, warm, and comfortable, is always going to perform better on the bank than the angler who is cold and hungry. If you’re an angler who enjoys overnight sessions, whether they are in the summer or the colder seasons, then you need the top quality cooking equipment to see you through. Trakker has been manufacturing superior quality angling equipment since the 1980s – however, for the first decade of the brands life it was trading under the name of Rainbow Angling Supplies. This is because the brand originally manufactured tackle for other top end companies. However, when production began to move to China in the late 1980s and early 1990s, the brand decided to take matters into its own hands and Trakker as we know it was born. The company continues to manufacture tackle right here in the UK, to an exceptionally high standard. 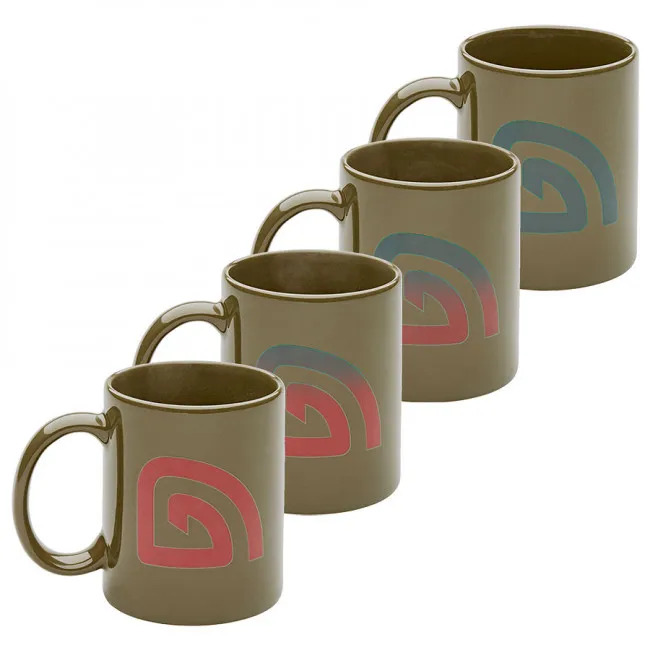 What’s more, the brand pays homage to the original company through the use of its rainbow logo – which you can see emblazoned across the front of this Trakker Heat Changing Mug. Although the brand initially achieved fame for its high quality luggage items, the company has since diversified and now manufactures a full range of bankside accessories for the overnight angler. looks ok, not used yet Christmas present . Fine, much better than their cheapy plastic mugs. Thought this one was going to be plastic but it's a proper ceramic mug. Great the way it changes colours. A nice mug. The heat change part is a bit of a gimmick, although it does work. I just wanted a carpy green mug for my brew on the bank, fits the bill perfectly !